HÀ NỘI — Vietnamese shares soared in the first trading session after returning from the one-week Tết (Lunar New Year) holiday, driven by positive investor sentiment. The benchmark VN Index on the Hồ Chí Minh Stock Exchange rose by 1.92 per cent to close at 926.10 points. The southern market index had gained a total 1.80 per cent between the beginning of the year and the pre-Tết trading week. More than 124.6 million shares were traded on the main bourse, worth VNĐ2.92 trillion (US$125.5 million), down from last Friday’s figure of 140.8 million shares worth VNĐ3.89 trillion. Other big gainers in the energy, brokerage and property industries included PetroVietnam Gas (GAS), PetroVietnam Power (POW), HCM City Securities (HCM), VNDirect Securities (VND), Vingroup (VIC) and Đất Xanh Group JSC (DXG). 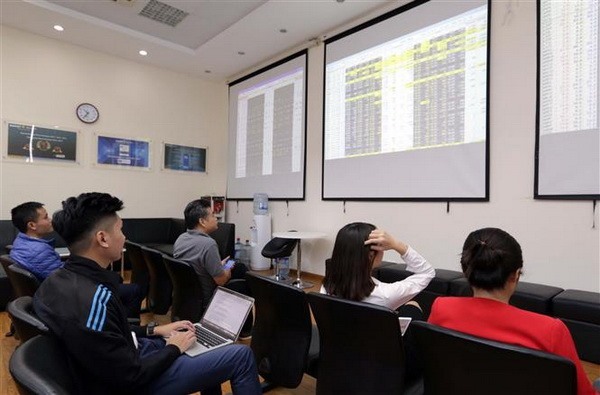 According to Sài Gòn-Hà Nội Securities JSC (SHS), improved sentiment in the first trading day of the new lunar year helped lift the benchmark VN Index over the resistance level of 920 points with better trading liquidity.